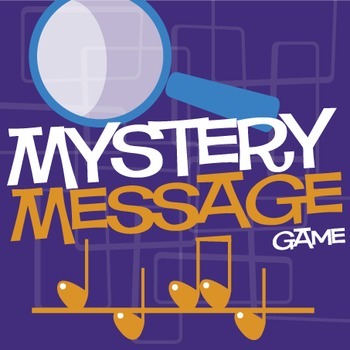 Mystery Message Game is the "Hangman" game with a twist. Music students compare and contrast rhythm/pitch sets in a race to win the game. Always a hit! 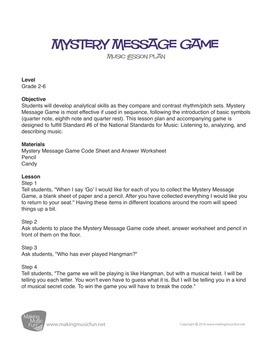 Students listen high/low pitch combinations and then check the Mystery Message Game sheet to figure out what letter it is. If they guess the word before everyone else they win. 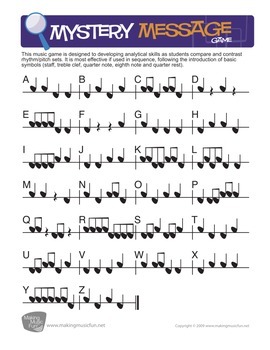 Great for ear training and developing higher order thinking skills like analysis! 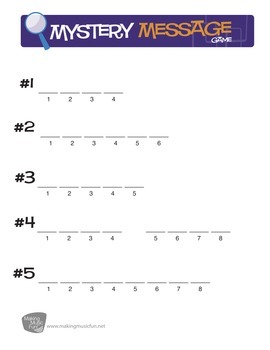 Two answer sheets are provided: 1) A prepared answer sheet with five words for students to guess, 2) A blank worksheet to allow teachers to choose the words.